Cranbrook Art Museum values its regional and national corporate and foundation partners. These organizations sponsor Museum exhibitions and educational programming as part of their many generous contributions to the cultural richness of our community. Sponsorships, in turn, provide participating corporations and foundations visibility among the Museum’s members and visitors. They also offer sponsors’ employees cultural opportunities for themselves and their families, and contribute much-needed support for the visual arts in our region. John Glick: A Legacy In Clay opening night. Photo by Sarah Blanchette. Show your support by matching your employees’ contributions to Cranbrook Art Museum. Cranbrook Art Museum benefits greatly from donations of products, services, and promotional opportunities. These contributions support our programming and events, and help to create a welcoming atmosphere for our community. 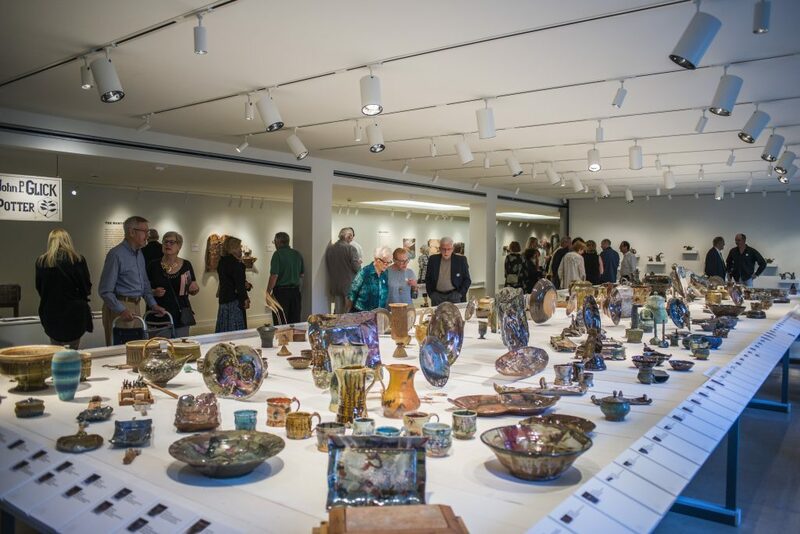 Corporate and foundation leaders interested in partnering with Cranbrook Art Museum should contact the Museum’s Advancement Office at 248.645.3214.